Leightons St Albans has undergone a complete transformation, so much so you won’t even recognise it. The branch now boasts a stylish and modern look, with a design that perfectly reflects the Leightons brand. St Alban offers an array of designer eyewear brands to choose from, including brands such as ProDesign: Denmark, William Morris and Maui Jim. 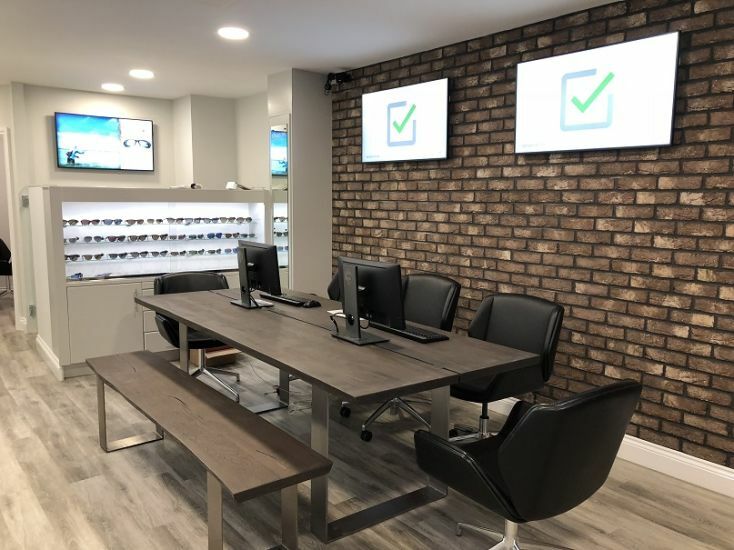 With the frames displayed on glass shelves with a white interior design, along with a feature brick wall, St Albans now offers not just a beneficial visit but an enjoyable visit for its loyal customers too. 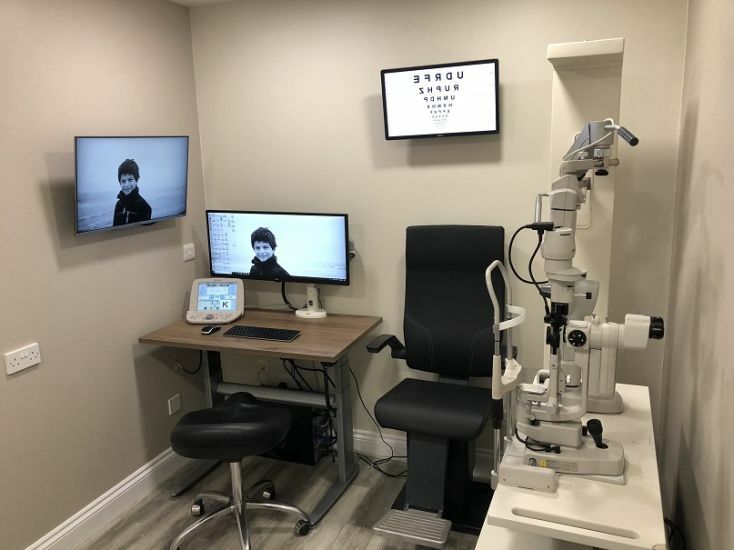 As well as their fresh new style, Leightons St Albans also proudly offer the latest technology, with OCT (Optical Coherence Tomography) included as part of the Leightons Ultimate Eye Exam. An OCT scan works much like an ultrasound but for the eye! The scan allows your optometrist to go beyond the retinal surface, showing a cross-section view of the layers of tissue behind. It means that certain eye conditions can be detected up to five years earlier than with traditional methods. Early signs of age-related macular degeneration (AMD), glaucoma and diabetes (by detecting diabetic retinopathy) can be found, meaning they can be treated sooner rather than later. 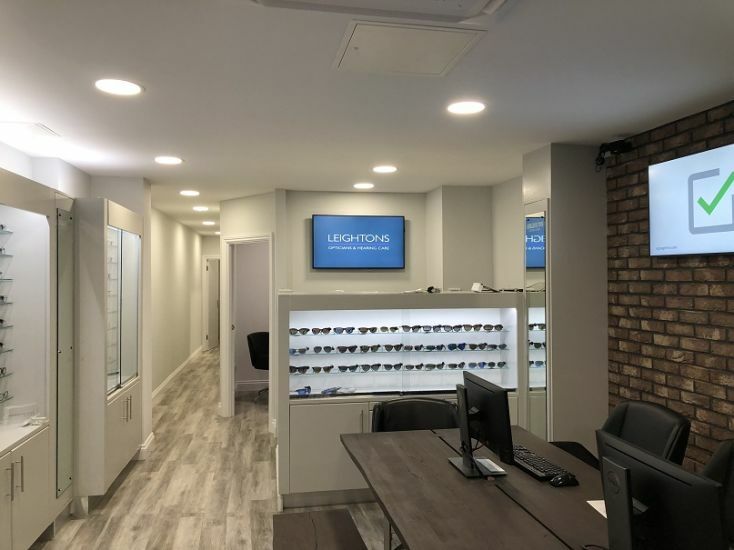 Leightons St Albans work hard to support you and your family with the most innovative expert eye and hearing care, offering the best advice and treatment available for you and your individual needs. And don’t worry, even with the new look, you’ll still be welcomed by the same friendly team that you all know so well. 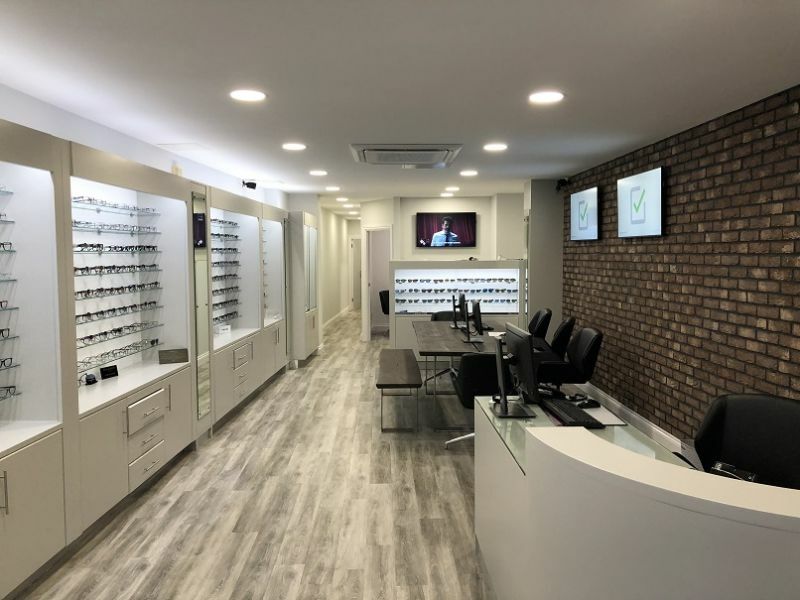 Being situated in the heart of the historic city, conveniently near to the busy shopping district of St Peters Street, you won’t be able to miss the St Albans branch – especially with their brand-new look. Why not stop by to find that perfect second pair of specs, or just come in for a coffee and a chat? Whether you would like an Ultimate Eye Exam or a Free Hearing Assessment, you can book online or call us on 01727 865 348. We look forward to seeing you soon and hopefully welcoming some new faces.